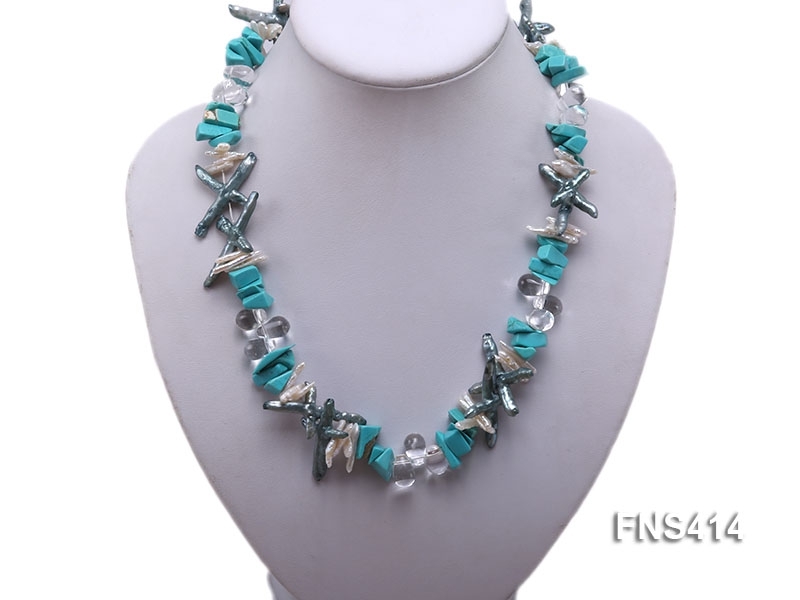 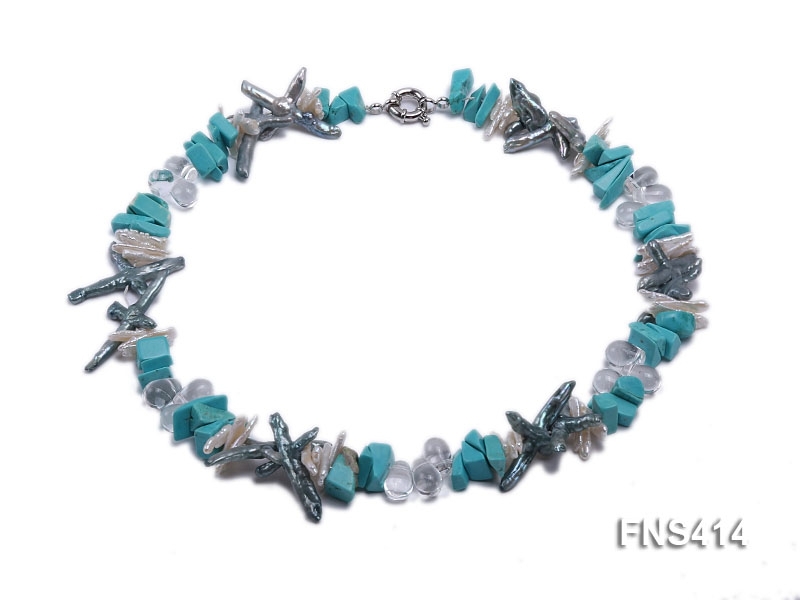 This splendid single-strand necklace is mainly strung with white pearl sticks, blue pearl crosses, blue turquoise chips, crystal beads, and Biwa-shaped beads. 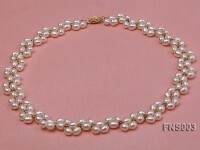 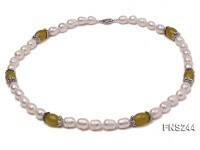 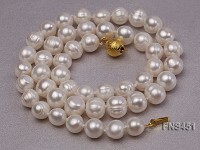 At the end of the necklace, a white gilt clasp is used as a connection. 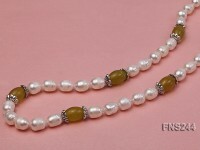 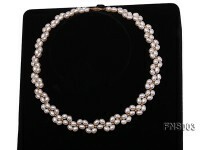 The length of the necklace is 20.5 inches. 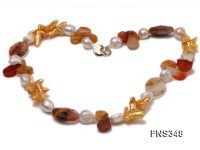 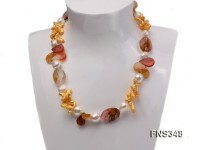 This is a newly-designed necklace from us. 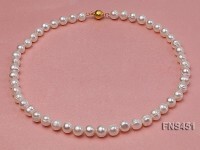 It looks elegant, simple and unsophisticated. 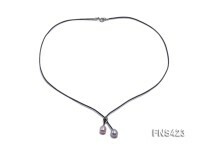 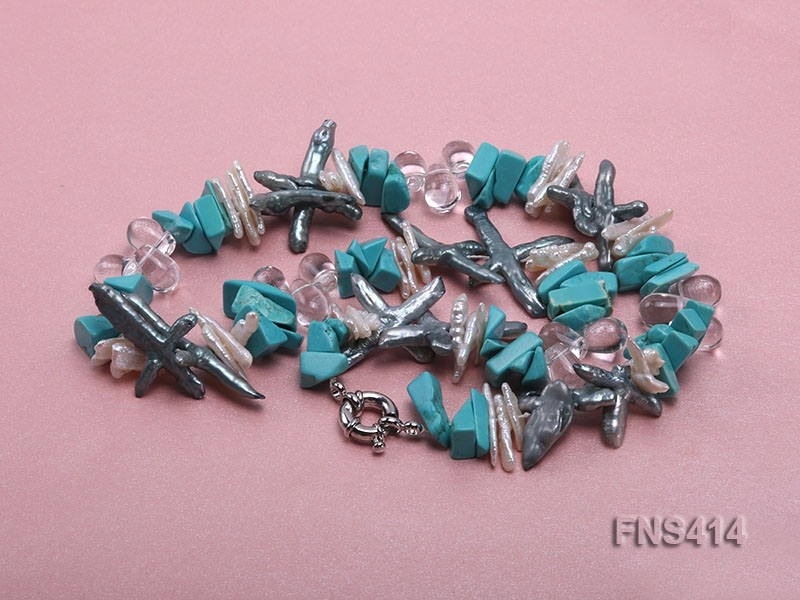 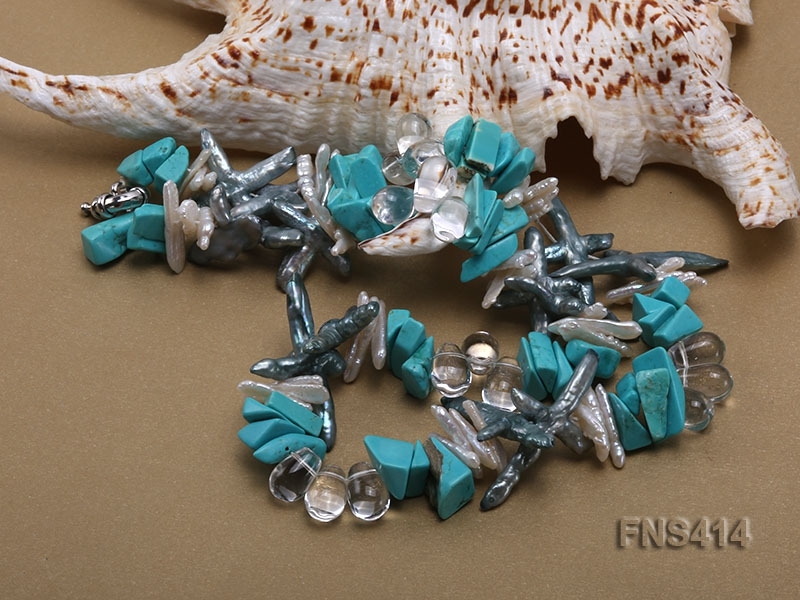 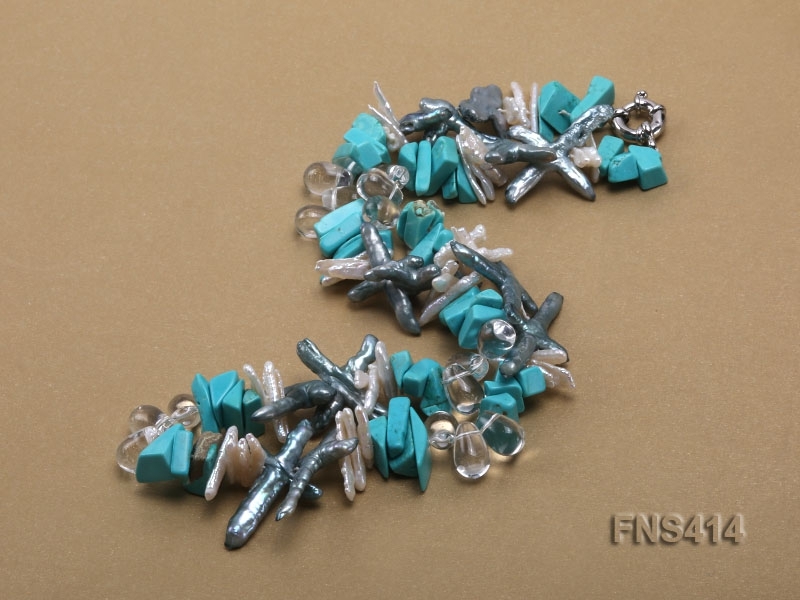 It can be wore in all seasons(especialy in summer),all occasions,and can be wore together with any kinds of clothes.You will surely look elegant and dignitarial when wearing this necklace.